We love taking pictures with our iPhones! 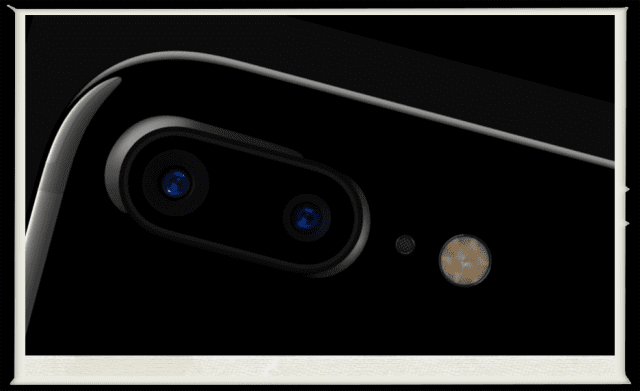 The camera is one of the main reasons we are willing to pay the substantial price for our iPhones. From selfies to panoramic shots, our iPhones’ camera captures it all. And it’s usually pretty good taking photos even at night. 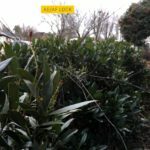 But sometimes, it’s mechanics are not enough to get a clear and beautiful picture at night or in dark spaces, and that’s why we have our flash! Just like a traditional photographic flash, out iPhone’s LED flash floods our scene with light, just for that quick instance when the camera shutter opens to take that image. But sometimes, when we take that nighttime picture, we see a very dark image indeed. For no apparent reason, our we discover that our iPhone’s LED Flash is not working like it usually does. So let’s get some help. Unfortunately, several users have experienced problems with their LED flashes over the years. Either the feature does not work on their iPhones or works intermittently. If you find that your LED flash is not working on your iPhone, you are certainly not alone. Take a look at our tips to get your flash working again, so you snap all those nighttime shots AND see everyone in them. What’s Do Not Disturb (DND)? 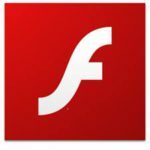 First, let’s find out if your flash isn’t working. Open Control Center by swiping up on-screen to check your LED flash. You can even test right from your lock screen! Just tap the flashlight icon off and then on. If the LED flash doesn’t work as a flashlight, follow the steps below. Make sure “Show in Lock Screen” is switched on in your Notification Settings for any Messaging app you want to see LED Flash Notifications for. Go to Settings > Notifications and select your app. Then under the section ALERTS, toggle ON Show on Lock Screen. 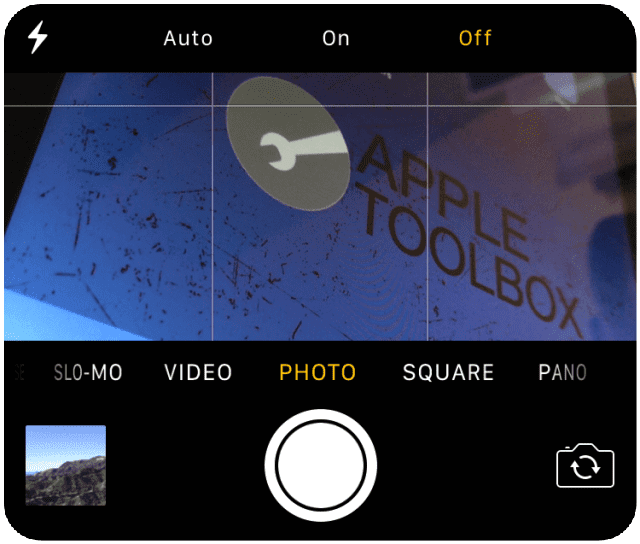 If the flash on your iPhone’s camera isn’t working, or conversely if it goes off every time you take a photo, check your camera app’s flash settings. Open the camera app to take a photo or video and tap the lightning bolt icon in the upper left of the screen to choose a different setting. Your options are Auto, On, or Off. Update this setting to Auto if either On or Off are highlighted in orange. If Auto is already selected (in orange), change this to either ON or OFF, depending on what you want. Before you perform any of the steps below, remove your iPhone from its case. Often enough, your case shifted and now blocks some or all of the LED Flash and possibly even your back camera. So, take a couple of seconds and check that there’s nothing blocking the LED flash and camera lens. And if you’re using a case, remove it. Then try to use the flash. First, check out the Settings to make sure you have set it up correctly. Go to Settings >General >Accessibility. 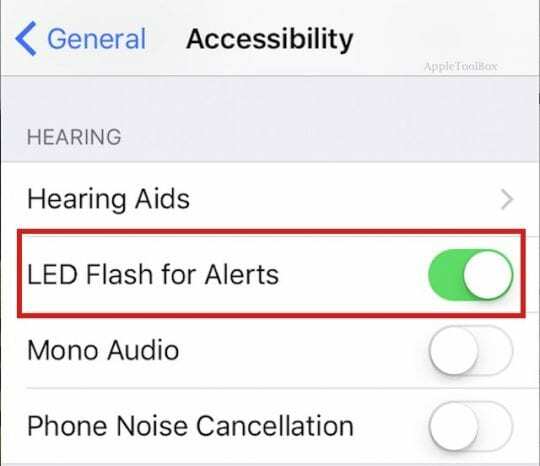 Scroll down to the Hearing section and make sure that the option “LED Flash for Alerts” is turned ON here. Keep in mind that this feature only works when your iPhone is locked. (Screen has gone dark). Click on the lock button on the side of your iPhone to lock it and then give it a try. Check your Do-Not-Disturb (DND) Setting. If DND is on, this LED Alerts feature will not work. The same goes for the Airplane mode. Sometimes these settings get overridden when you accidentally press them in the Control Center. 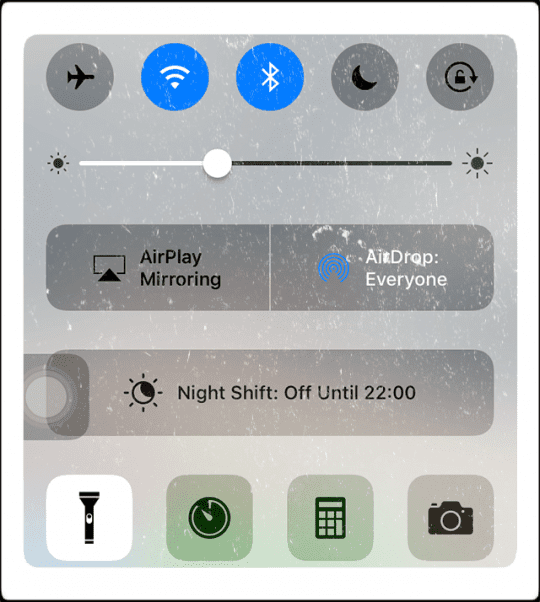 Swipe up from the bottom of the phone and make sure that the DND and the Airplane mode is appropriately set. 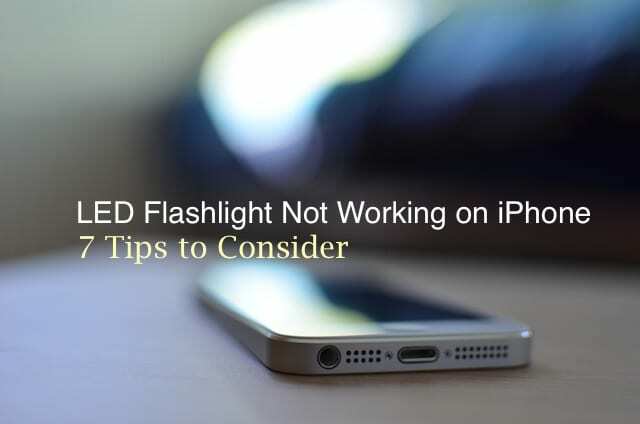 In certain cases, your iPhone overheats due to usage and the LED flash may not work. 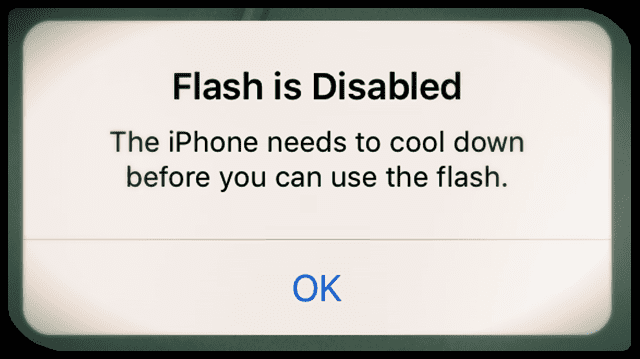 If you take a lot of video or pictures with your flash on or use your iPhone in a hot environment, you get a message that says the flash is disabled. The message stays ON until your iPhone cools down to a normal operating temperature. 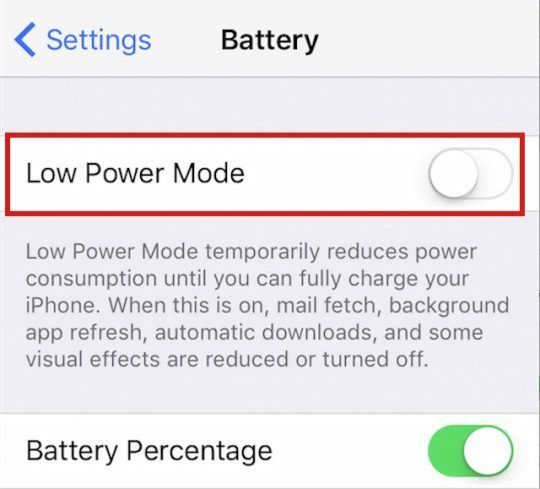 So if you see this message or suspect your iPhone’s getting too hot, try switching off your iPhone for a few hours and then try to test the functionality. 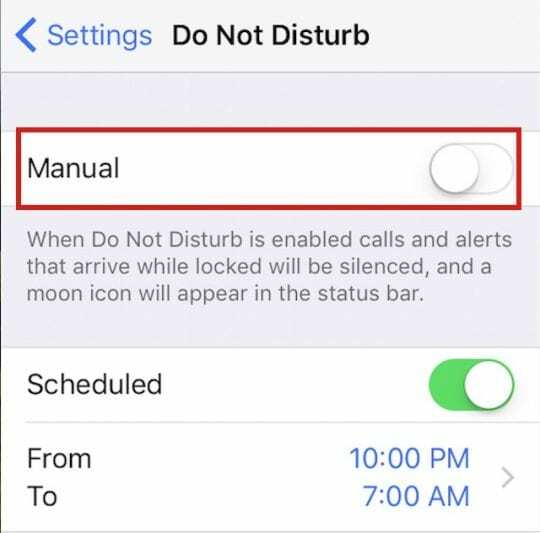 It’s also a good idea to restart the iPhone by pressing the Home and Sleep/Wake buttons together for 10 or 15 seconds till you see the Apple Logo show up on your device. Occasionally resetting your phone this way can often help with problems. 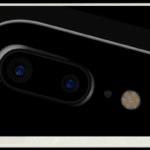 If the above steps do not work for you and you have checked your iPhone camera and made sure that your Flash is functioning properly, you may want to restore the iPhone. Finally, if nothing works including a restore, the chances are that your iPhone’s hardware is causing the problem. 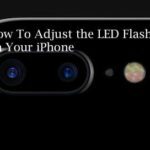 Some readers report success with pressing firmly around the LED flash on the back in a vise-like grip between the front and back of the iPhone. Proceed with caution if you try this tip out, pressing too hard could cause other damage (and most likely you won’t know until something else fails.) So again, perform this action at your own risk. 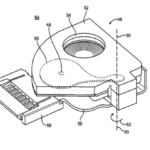 If the LED flash still doesn’t work as a flashlight, contact Apple Support. We hope that you were able to identify and fix this issue on your iPhone. Please let us know if you are still having the problem in the comments below. It is strange because a flashlight app works in this enviroment ! Around 0 to +1 celsius temperature. Should I drive him into the living room now? It’s time to die or switch to Samsung? Best regards from NOT too cold Poland. A lot of people don’t mention this in the checklist. You need to have “show in lock screen” switched “on” in your notification settings for any messaging app you want to use LED Flash Notifications. I had the same problem problem and took me a while to find this solution. Thanks for mentioning that Sean! We’ll share it with everyone. What model of iPhone are you using? My iPhone 6 flash doesn’t work. I don’t know why :/ When I capture the picture from my iPhone the flashlight may ON once but when the time comes for capturing the flashlight gone OFF and it doesn’t ON. What’s this problem? Can anybody suggest me! Problem solved! Its just that i didn’t lock it. Outstanding! Problem solved doing step 1!!!! Thanks! thanks so much. my daughter’s 5s phone & mine (7+) had the same issue. following your steps made it possible both our phones to work. the culprit was the DND. I phone 7 plus led flash alerts are on and all above tips were checked and still no luck. The flash in the camera does work. Could it be a default in the phone. Also the IOS is updated. Thanks for these tips. I’ve had my SE for a couple of months and have never seen the LED lit. I tried all your steps and still no luck. But I haven’t tried restore yet as it sounds kind of drastic. Do I risk losing my settings, data, pictures, etc.? I’m wondering if it’s an issue with the SE…? Any suggestions would be appreciated. Mike, Once you back up your iPhone before doing the restore, you should have no problems. We do agree that it is a little drastic for just taking care of the LED issue. You may consider taking your iPhone SE to the Apple store and have them check it out.